Chum Radio App on Blackberry - Data Usage on Rogers? Thread: Chum Radio App on Blackberry - Data Usage on Rogers? Just wanted to know what the data usage is like using the Chum Radio application on the blackberry. 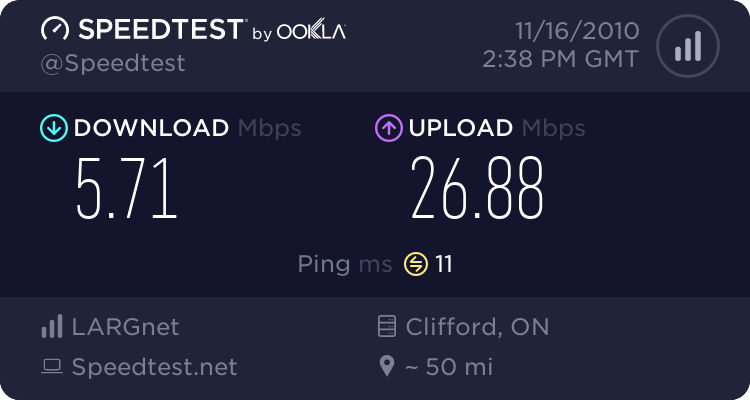 I have a 500mb plan through Rogers and through "normal" usage have gone through 160mb in 18 days. What can I expect the data usage on the Chum Radio app to be on an hourly basis? I never used that app so I have no idea what rate it's streaming at, but if it's 64kbit then you're looking at around 30mb an hour. It doesn't state the rate on the bb app, but that's as good a guess as anything right now. Just tried, uses ~15 MB/hour, got the info with MyBoxToneInsight. FYI the Chum app would be the same data usage as the Corus radio app. As their both developed by streamtheworld and use the same AAC+ audio codecs. See kids, bitTorrents kill the network.